the NFRA withstands the test of time. WHEREAS, the National Federation of Republican Assemblies (NFRA) believes that man's rights flow from the Creator and the rights of life, liberty, and the pursuit of happiness are unalienable and cannot be legitimately granted or rescinded by men. WHEREAS, the National Federation of Republican Assemblies (NFRA) believes that the traditional American family, consisting of persons related by blood or adoption through the marriage of one man and one woman, is the cornerstone of our American society, and the government is duty bound to protect the integrity of the family unit through legislation and tax policies. WHEREAS, it is recognized that Congress has passed a series of laws starting with the Child Abuse Prevention and Treatment Act (CAPTA) in 1974 for Federal government financial support to flow through to the States for the establishment of child protection agencies. At the time of the passage of this bill, nearly 600,000 children were in foster care at any given time. WHEREAS, since 1974, a dramatic shift has occurred from using these government resources to rehabilitate families and maintain family integrity to the rehoming of children into the homes of strangers for financial gain. This legislation starting in 1980 with the Adoption Assistance and Child Welfare Act commenced a federal funding scheme which financially incentivized the rehoming of children by providing ongoing federal dollars to foster-to-adopt homes for children. This marked the beginning of the imbalance of federal funds directing the state agencies to sever family ties and adopt children through foster placement for financial gain. WHEREAS, in 1997, the Adoption and Safe Families Act (ASFA) promoted by President Clinton and First Lady Hillary Clinton added financial incentives directly to state agencies for adopting children into the homes of strangers. Through this legislation, the state agencies receive a bonus check for each child adopted into the homes of strangers and the foster placement/adoptive home gained a continuous government subsidy throughout the minority of the child, even after adoption. WHEREAS, the results of the aggressive legislation directed a foster care and adoption has resulted in a federal funding scheme in which nearly 8 billion dollars in federal funds per year are attached to foster care and adoption in Title IVe funding and one-tenth of that amount is dedicated to family rehabilitation and maintaining family integrity in Title IVd funding. These dollars do not include the state funds that must match the federal funds for foster-care and adoption exploding the foster-care adoption industry to over 16 billion dollars annually. WHEREAS, said state agencies receiving these funds are serving two conflicting governmental roles; i.e. prosecuting parents while holding out that they are serving to rehabilitate the families. An agency cannot serve two masters. While Title IVe funds directing the agency to keep children in foster-care, the agency cannot simultaneously be putting equal efforts in family rehabilitation. WHEREAS, the privatization of foster care and adoption have further contaminated the aim of child welfare and family integrity by monetizing children in a system incentivized to remove children from their homes and rehome them into the homes of strangers. WHEREAS, the government’s forty-year history has done little to relieve this Country of the trauma of foster-care in that on any given day in America over 400,000 children are residing away from their families and have little chance of reunification. RESOLVED, that the NFRA in convention at Mesa, Arizona, in advocacy of our belief that government is duty bound to protect the integrity of the family unit through legislation and tax policies. RESOLVED that the NFRA urges Republican members of Congress to ban all adoption bonus incentives provided under the Adoption and Safe Families Act as passed in 1997 and reinstated in 2010. RESOLVED that the NFRA urges Republican members of Congress realign the federal funding of Title IVe and Title IVb such that the states are directed to reunify a family or support family integrity through relative and kinship placement prior to severing family ties consistent with the goal of family integrity and victim safety. RESOLVED that the NFRA urges Republican members of Congress provide families sufficient resources from these funds to defend family integrity and remove intra-governmental conflicts of interest within state agencies which serve to prosecute parents at the same time suggesting that they are rehabilitating families. RESOLVED that copies of this resolution shall be posted on the NFRA website, transmitted to NFRA membership, and be distributed to Republican members of Congress, the Chairs of the State Republican parties of Alaska, Guam, Hawaii and Puerto Rico, and the Chairman of the Republican National Committee. Overland Park, KS — The National Federation of Republican Assemblies (NFRA) Board voted today to support Representative Jim Jordan of Ohio, founder of the House Freedom Caucus, to be the next Speaker of the United States House of Representatives. Jordan has been a consistent, clear voice for conservative values and policies during his time in the House. Recently Rep. Jordan has been an outspoken critic of Deputy Attorney General Rod Rosenstein, whom he sees as using obstructionist delaying tactics in the release to Congress of Department of Justice papers relating to the investigation into the 2016 elections and purported Russian collusion. Representative Jordan has shown what conscientious conservative leadership looks like as he boldly stands to defend the U.S. Constitution. While other Republican leaders have vacillated, squandering many of the opportunities which should have been taken advantage of by a large numerical majority, Representative Jordan has been a clear voice for what needs to be done, unafraid of offending liberal special-interest groups and other opponents of the President’s agenda. With Speaker Ryan’s pending retirement, we have an opportunity to choose a proven leader who will not waiver from his principles and support of President Trump’s agenda. NFRA believes Rep. Jordan has proven he is such a person. NFRA believes the recent allegations about Jordan are in fact a reflection of the success of his leadership and the fears of his opponents. Whenever a principled conservative comes into prominence, previously unheard of charges are suddenly lodged. It is NFRA’s belief that Rep. Jim Jordan will rise above this and prove that he is the right person at the right time for the challenge of being Speaker of the House. The NFRA supports him in all of his efforts, including any attempt that he may make to become Speaker by the Republican Caucus. The NFRA is a grassroots organization committed to helping state Republican Assemblies across the country reform the Republican Party to achieve the goal of a constitutional government. NFRA was originally founded in California in 1934. NFRA Congratulates former Executive Board Member Ken Blackwell on his appointment by President-elect Donald Trump to lead his domestic transition team. 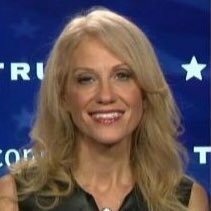 Congratulations to Kellyanne Conway, President-elect Donald Trump’s campaign manager is now the first woman to lead a winning presidential campaign in the United States.